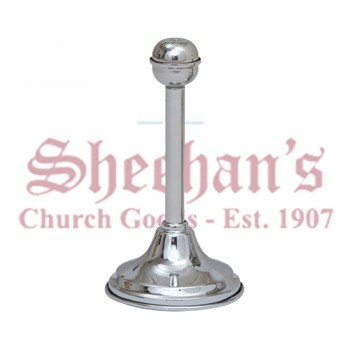 Matthew F. Sheehan is your leading source for pots and sprinklers. 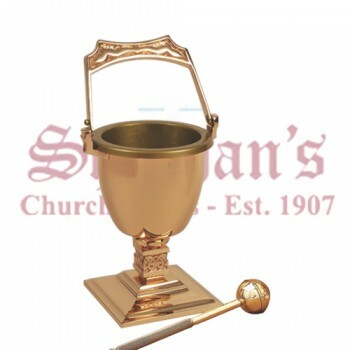 The water spreading devices, also known as aspergilla or aspersorium is a ritual object that is used to sprinkle holy water during services. 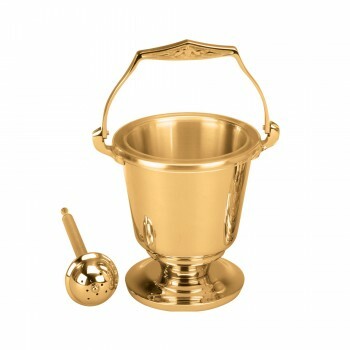 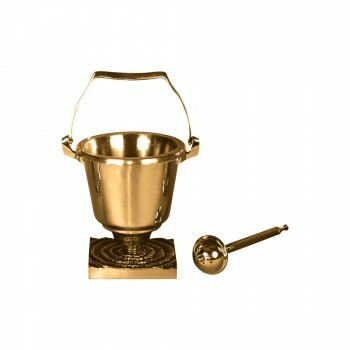 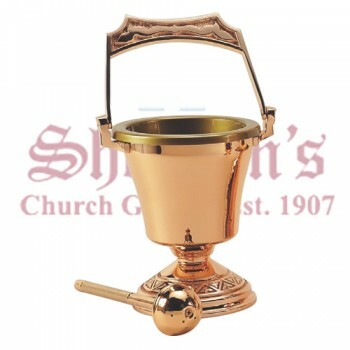 The pot portion of the duo holds the holy water and the sprinkler is used to dispense it. 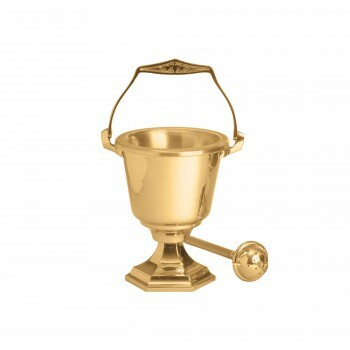 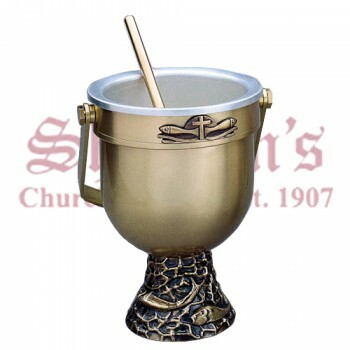 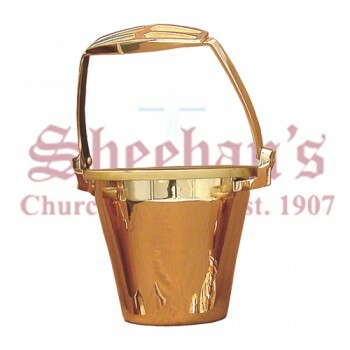 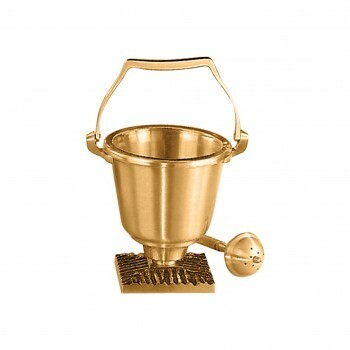 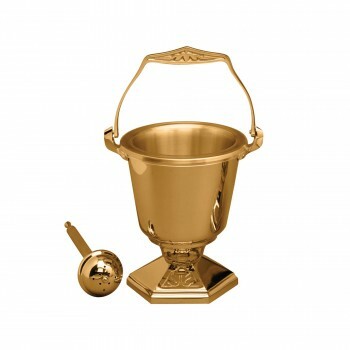 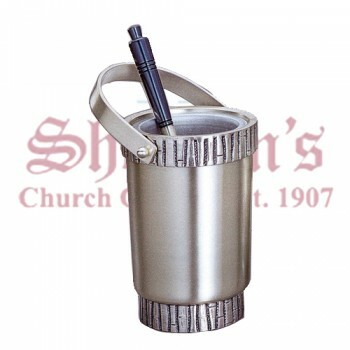 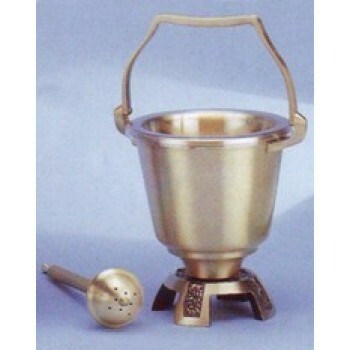 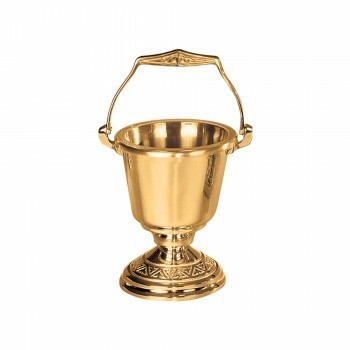 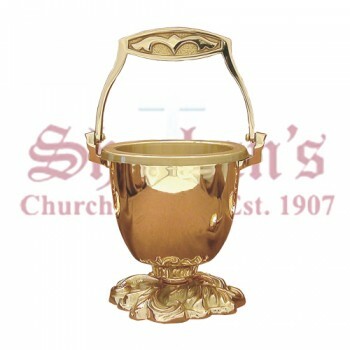 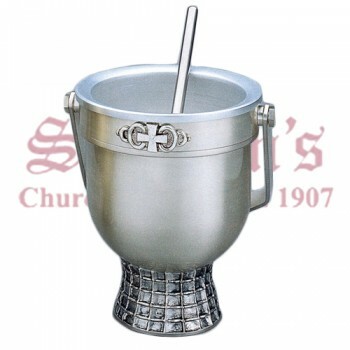 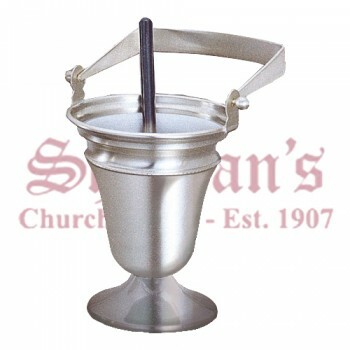 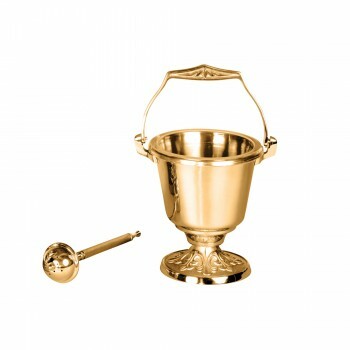 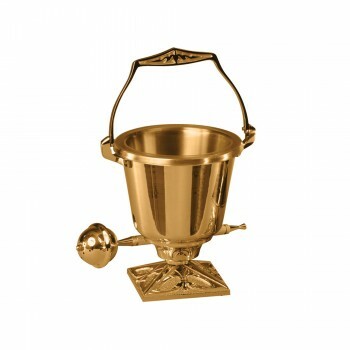 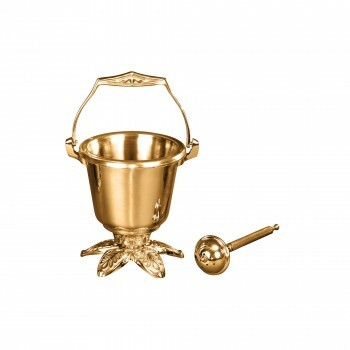 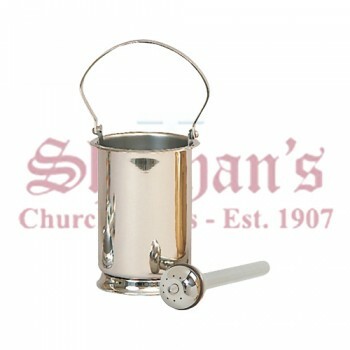 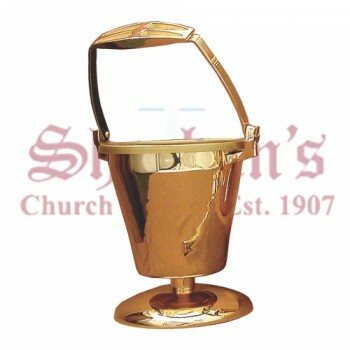 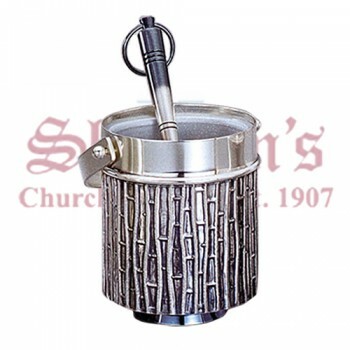 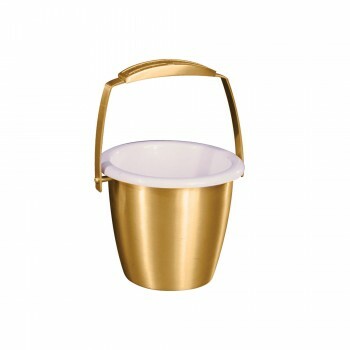 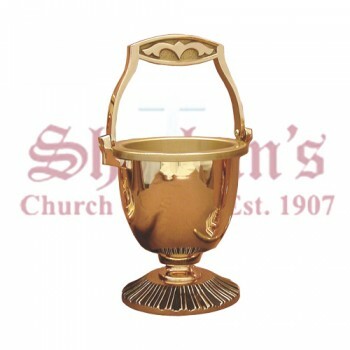 Our holy water pots are made of metal and are shaped similarly to a small bucket. 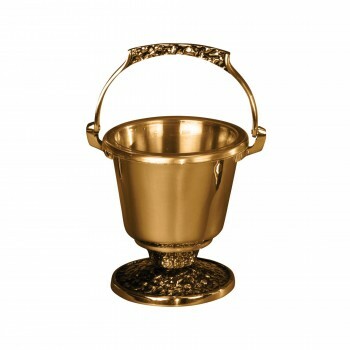 Most designs are slightly flared and include a pedestal base that elevates the pot when placed on a table. 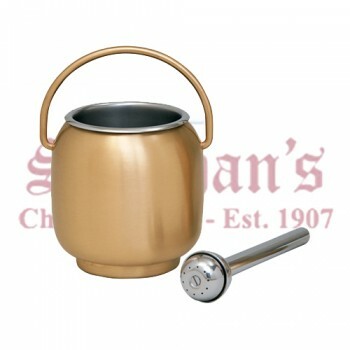 Pots typically include a handle for portability. 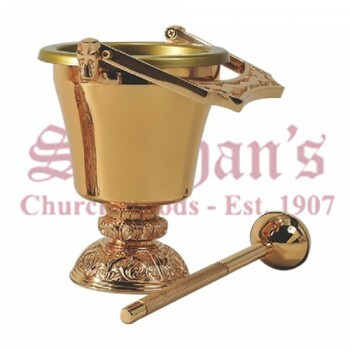 Most of the ornamentation of the pot is found on the base or handle of the piece. 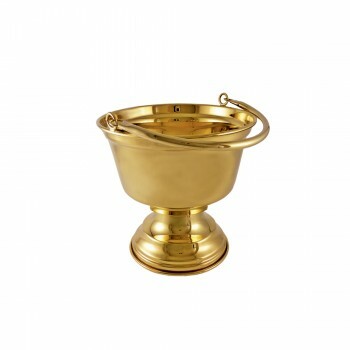 Holy water pots are paired with matching sprinklers. 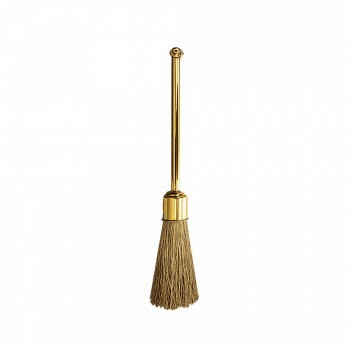 The sprinkler is typically either a brush or a wand with a ball shaped top that houses a sponge. 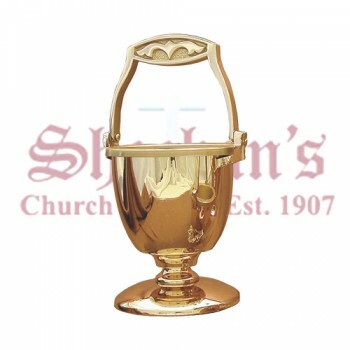 When shaken, the hollowed out sprinkler dispenses droplets of holy water. 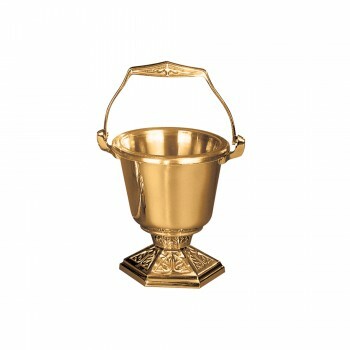 Sprinklers are made of metal and are designed in a similar fashion to the pot, typically with very little ornamentation. 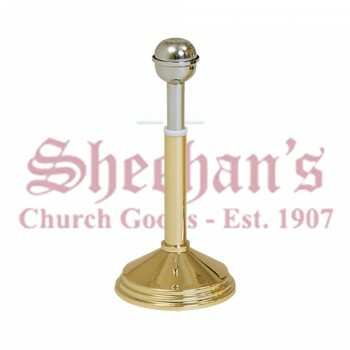 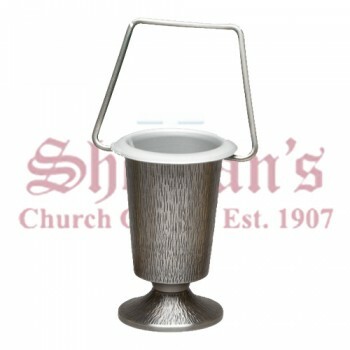 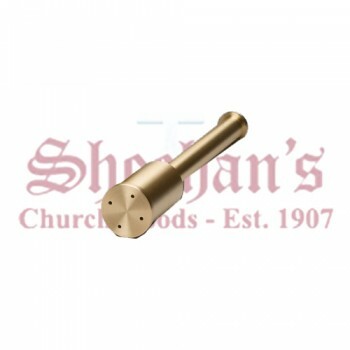 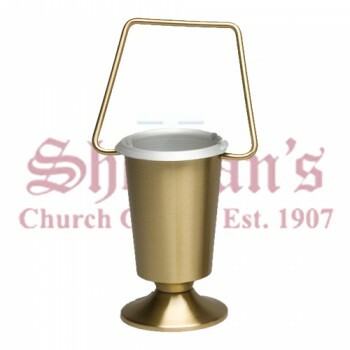 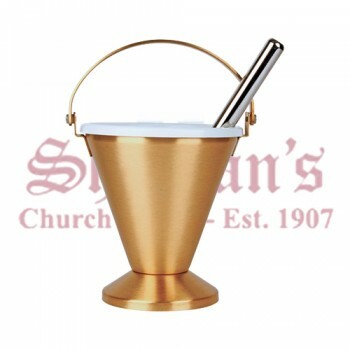 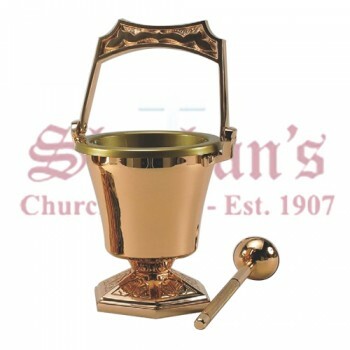 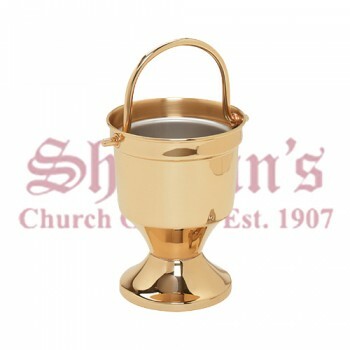 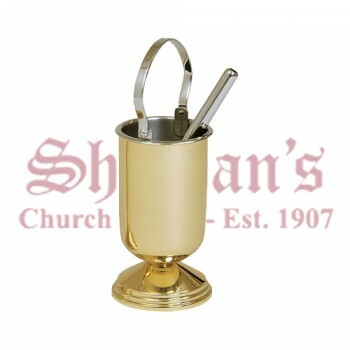 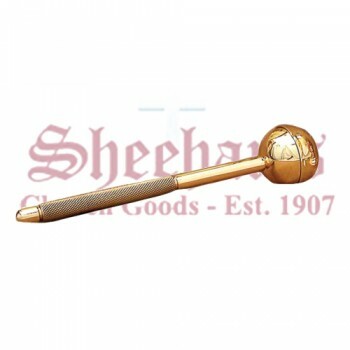 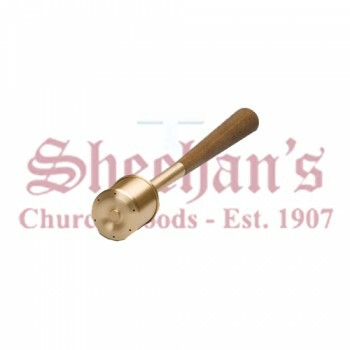 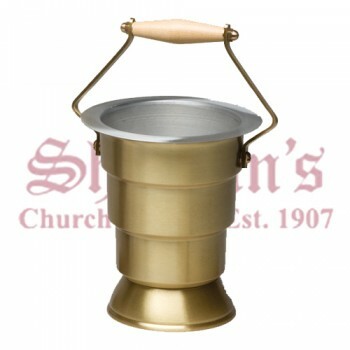 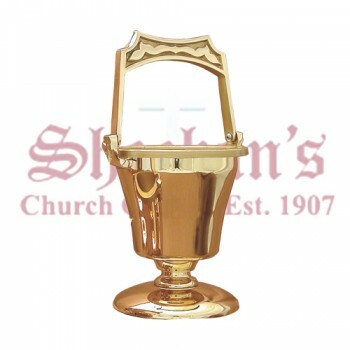 Choose Matthew F. Sheehan for your next holy water pot or sprinkler. 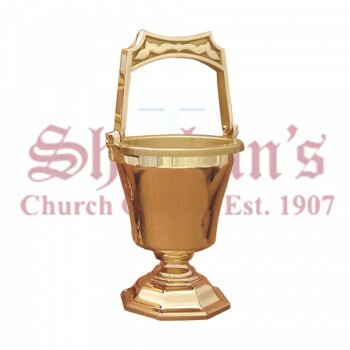 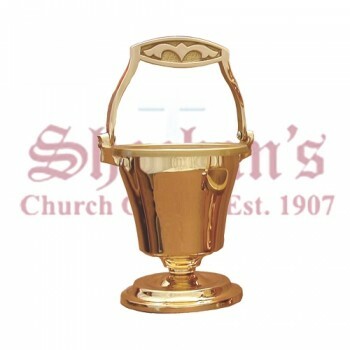 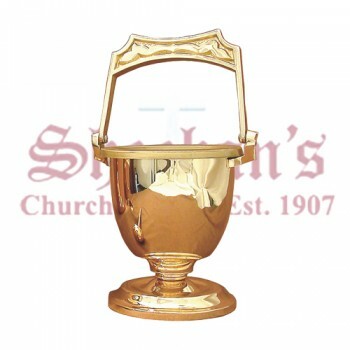 Our large selection of designs at a variety of price points makes it easy to find a pot and sprinkler that is within your budget and matches the style of your church.